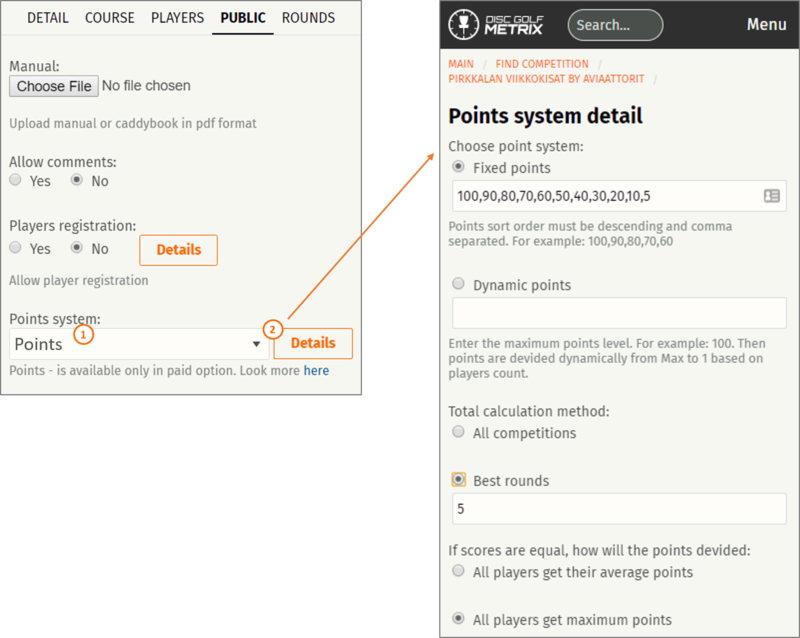 Tour points system that gives players "points" after each competition and based on additional settings sum up total points at the end of the tour. 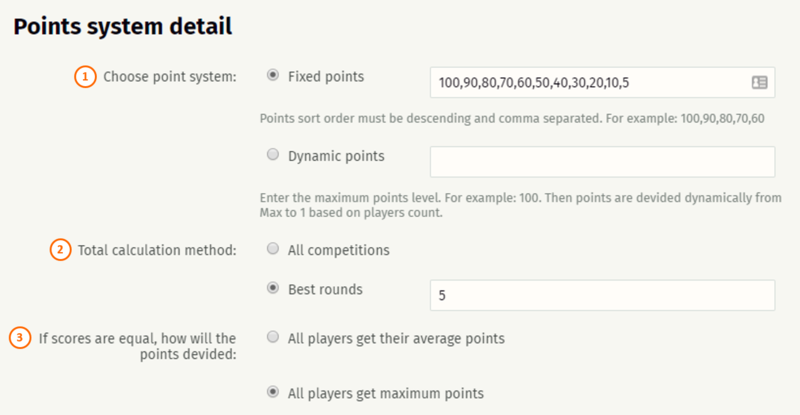 For example, Tournament director can set that top 10 players will get points. First gets 10, second 9, third 8 etc. And with additional settings you can choose is all competitions are counted for, or only best or last for example. Choose point system - with two different methods. Dynamic points: just set points for #1 and rest is devided between the players. These settings can be found from Edit competition --> Public --> Details after selecting the Points system as "Points" and saving changes and clicking Details. From the example you can see that points with red background are ruled out from the total based on "best 5 rounds" setting.